formula is lightweight. Not sticky Moisturizes and nourishes deeply. 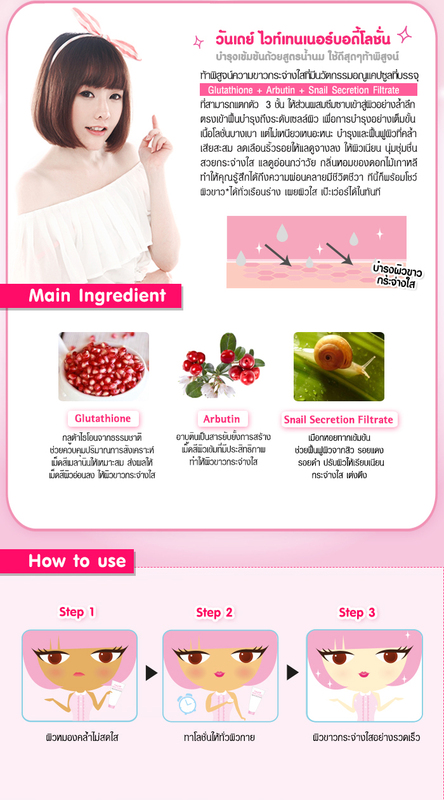 Add to Moisturizes and softens the skin and Snail Secretion Filtrate. Look younger. The fragrance of flowers from Korea, the skin immediately clear. 1. Apply lotion to the skin. The skin is smooth to touch. 2. To brighten skin. And wrinkles look fade. Should be used continuously every morning – evening.